The Bridgeport Military Academy lottery application is currently OPEN for the 2019/2020 school year. will close on January 11, 2019 at (11:59 p.m.). Results will be e-mailed in February. The Bridgeport Military Academy offers students the opportunity to experience their secondary education in a challenging environment with an emphasis on excellence in academics while also exploring careers in public safety. Through partnerships with Fire, Police, Homeland Security, Military Services and other public safety departments, students are provided real world, hands-on opportunities to get trained and certified in such areas as CPR, First Aid, FEMA courses, 911 Communications, and be offered physical training, community volunteer opportunities and internship programs. Bridgeport Military Academy cadets select a themed career pathway as a First Responder will be engaged in studying a variety of topics within the listed areas of the Public Safety field. Courses will require students to take an active role in hands on activities, be critical thinkers, effective communicators, and disciplined in their daily behavior. This will allow the development of an understanding of the "rank structure" that is required in these career fields. Cadets will be prepared for these and other careers and higher education opportunities. To instruct & inspire students who develop a strong commitment to service to “others above self” within their school, family, and community while preparing academically for leadership roles and professional careers throughout the world. Connecticut's College Fair on Thursday, April 4th 2019 4 p.m. – 8 p.m. at the Webster Bank Arena in Bridgeport, CT. Calling All Students Who Wish to Travel! Hey Seniors! 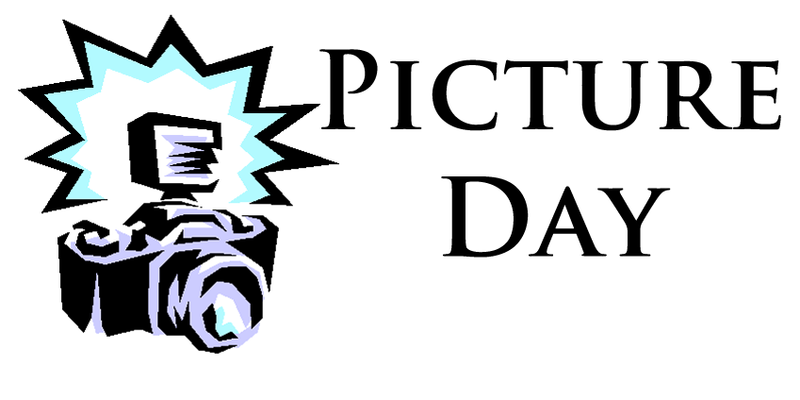 Picture Day is Coming Up! Please take the time to read the following article at this link regarding the 2019 Community Forums for Bridgeport Public Schools. to learn about the trip to Ireland! Wins at the 2019 District Science Fair! We are SO proud of all our Cadets who participated in this year's Science Fair and good luck to the winners in the State Competition! 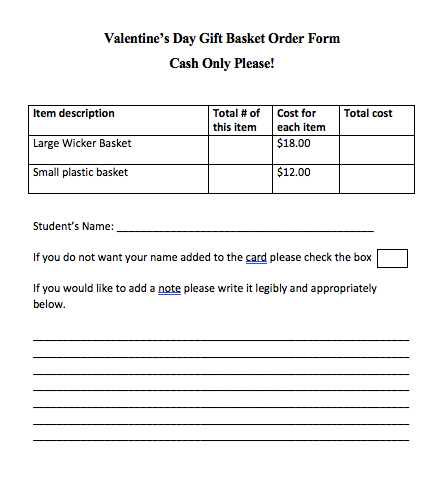 Click on this link to print our the form and bring it to Mr. Kadam in Room 432! Bridgeport Military Academy Hosts Its Science Fair Next Week! When: Friday January 11 @ 7:30PM at the Arts Center Main Stage. Tickets are $15. About the event: Movement artists Lil Buck and Jon Boogz, founders of MAI (Movement Arts Is), perform Love Heals All Wounds with an ensemble cast. Through dance they address societal issues like racism, police violence, immigration and the destruction of the environment. Cadets: Wear your Formal Uniforms and Look Your Best! -Ordering Info: Proofs will be sent to BMA and after you view your photos you will be able to purchase them from the photo company. CANDY CANE HOLIDAY GRAM CARDS! Want to Wish Someone Some Holiday Cheer This Season? 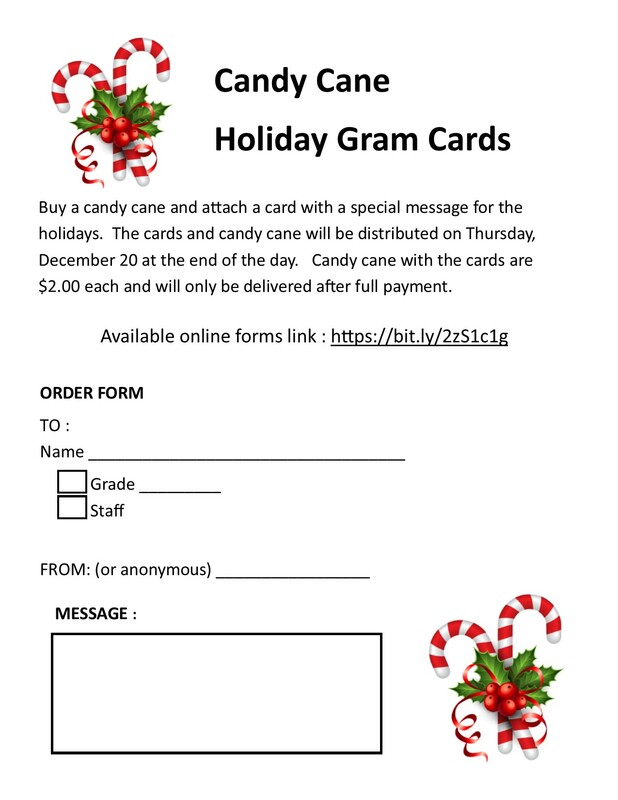 Send Them a Candy Cane Holiday Gram Card and Help Out The Senior Class! Want to Support BMA and enjoy some wings and sports? Go to Buffalo Wild Wings in Milford, CT on December 12th! Show this ticket to your server and Buffalo Wild Wings will donate 10% of your bill to BMA! Interested in the BMA trip to Ireland? Click the picture below for more information. There are still spots available! The Bethel NJROTC Drill Competition is coming up on November 17th. The Drill Team and Color Guard need your support in order to compete at the competition. Please see the GoFundMe page below. Any amount is appreciated and will help the cadets show off all the hard work they have been putting in to prepare for the competition. Any amount helps! Cadets are chosen for exhibiting superior academic achievement and high military bearing, appearance, and behavior during the quarter.